Front Brake pads with the single pin retainer hole. Quality material used in the braking material. 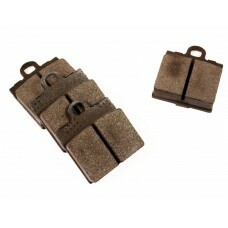 Please check before ordering if you have the twin or single pin brake pads.